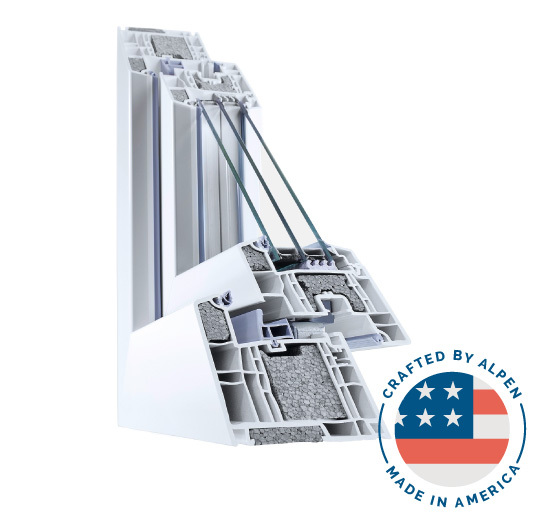 Alpen High Performance Products, creators of North America’s first commercially available fiberglass R-10 window, has just introduced the New Tyrol Series of European-styled windows and doors. Inspired by Europe. Designed for North America. Made in the U.S.
has just introduced the New Tyrol Series of European-styled windows and doors. This new series combines best-in-class European styling and quality German hardware with the high performance, craftsmanship and short lead times you’ve come to expect from a product that is made in the United States. The Tyrol Series is a fiberglass reinforced polymer window and door system that doesn’t rely on steel for its strength. 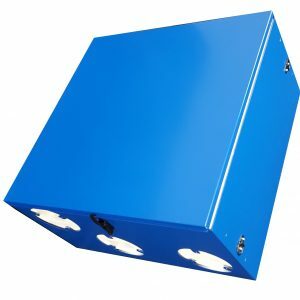 Instead, it is composed of a proprietary fiber composite material, known as RAU-FIPRO™, and is similar to composites employed in aeronautic construction and racing vehicles for outstanding strength and load capacities. 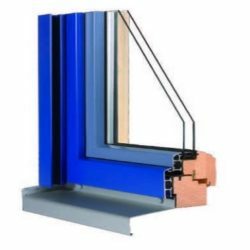 In the hands of our experienced development partner, REHAU™, this unique uPVC frame design substantially improves thermal insulation and provides multiple chamber insulation options.